I know I am probably just missing something simple but all I can seem to find is the request for invitation to the 2015 HAWK and then the dates for 2016 on the Road America site. Is there a resource for understanding how to enter and race at the HAWK in 2016? Any referral would be appreciated. In addition to the basics of requesting an invitation I will also need to correspond briefly with someone like a "technical director" for the event. I would like to enter a period race car that is absolutely period in every way (1966) and so need guidance on minimum required safety equipment and the like. While I would like the HAWK to be a first event we will ultimately request SVRA Historic Gold Medallion certification if that gives anyone an idea what sort of prep I am talking about, and an idea the type of questions I need to ask. Since there are so many possible types, make, models, levels of preparation, etc. participating at an event like the Hawk (which is now the "WIC"), no rule book is published. Every entry is personally vetted by the Technical Director (me). I am inclusive but do have limits to what is suitable. Any car that is properly prepared to a recognized historical standard will have no problem being accepted. I do reserve the right to classify cars as I see fit, for safety, competitiveness, and compatibility with other cars in its run group. Having said that, you will need to send me the details on a Race Car Information Sheet (RCIS) along with a photo of the car. Competitor information is not available until approx. February. Jack, I'm working on getting two (maybe more) clients to go this year. 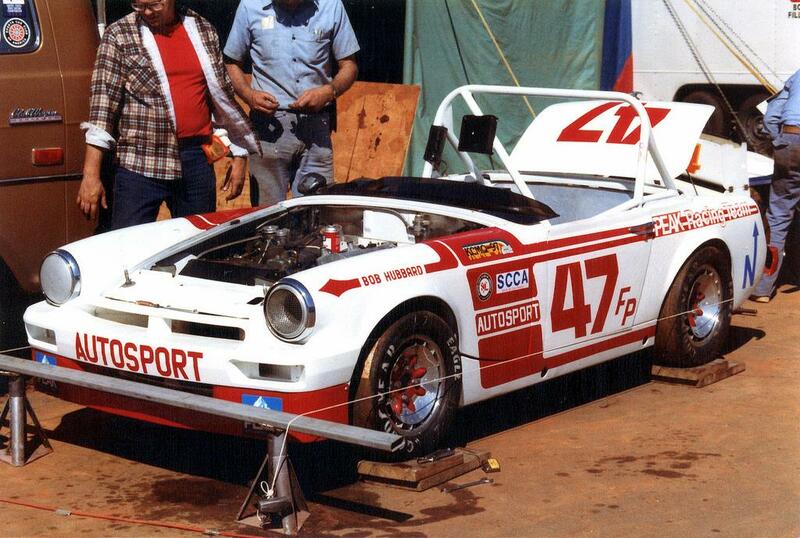 The red 1994 RSR of Preston Brown that was at HSR Sebring and Mark Brummond's 1985 Alfa GTV6. You have RCIS on both. Are both suitable for the event? Having never been to The Hawk previously, is there anything unusual I should be aware of in how the event goes down? I figured I'd ask on here rather than an email because some of this info may be useful to others. There is nothing unusual about the WIC/Hawk rules. If you follow SVRA or HSR standards you will be fine and you don't need to submit a new RCIS. Helmets are Snell 2010 however. Just to make sure. If I show up with a flared FP Midget on slicks will you find a group for me to run in? The PC class is in Group 8. You are welcome there. Kent Prather runs in that class, BTW. So there is a Political Correct class. Well i dont fit in!! In a strange and unforeseen turn of events, I now own and will campaign an F Production Midget with history. It all kind of fell into my hands and I'm a little speechless. Back in 1979 I made my first trip to the Runoffs. I qualified very poorly and started way back... perhaps all the way back in the pack, and Bob Hubbard was pretty much near the front. Something left him stalled and sideways at the exit of turn 7. I entered the turn in a snarl of traffic, and exited it in his driver's side door. He built this car from new as a result. Bob was pretty forgiving of my screwup, but not totally I'm sure. He was a good guy, and I'm glad to own his car. It's going to take some time to freshen it all up, but I hope to have it ready for Jack's event at RA, and then stick around and enter the SCCA Major there shortly afterward. It is a real transition piece and I think I'll leave it that way. It's coil-over at the rear, but conventional in the front, using MGB shocks (This is the point I've tried to make with vintage rules from the beginning. Jack gets it, but he seems to be the only one to realize that the way the rules were written, ANY lever shock was legal) It certainly won't be a state-of-the-art Spridget, but I bet it still can be pretty darn fast... question is, can I? When was the last time it raced? Actually I think that it has been to HSR events as recently as a couple years ago. I don't yet have the log books, so I don't know when Bob last drove it. I think he owned it until his death a little over ten years ago. I'm not sure how comfortable I'll be with right-hand drive, but will keep it that way. Just now I've got to pull it all apart and check everything out.